My middle son recently turned seven years old and I wanted to make him an extra special breakfast the morning of his birthday. 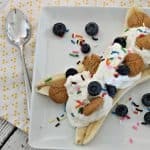 He takes after his mama with his sweet tooth but I didn’t want to start our day on a bad note so I came up with this super fun, natural Breakfast Banana Split idea. It was super fun to make him this extra special birthday breakfast with the goodies. My guy’s a late sleeper so when I got up in the morning I popped a container of Yulu Vanilla Bean Yogurt into my freezer. I stirred it about every 20 minutes or so, replacing it in the freezer afterward over the course of an hour. It ended up with a frozen yogurt scoopable consistency! When I heard my son coming down the stairs I quickly split a banana, scooped the container of yogurt over top and topped with blueberries, Horizon Honey Snack Grahams and of course what birthday breakfast would be complete without some colorful sprinkles? My birthday boy was SO excited to see his “dessert” for breakfast and I felt great knowing he was getting a balanced start to his special day! Wouldn’t this make the best start to any occasion-like the first day of school coming up soon for some? 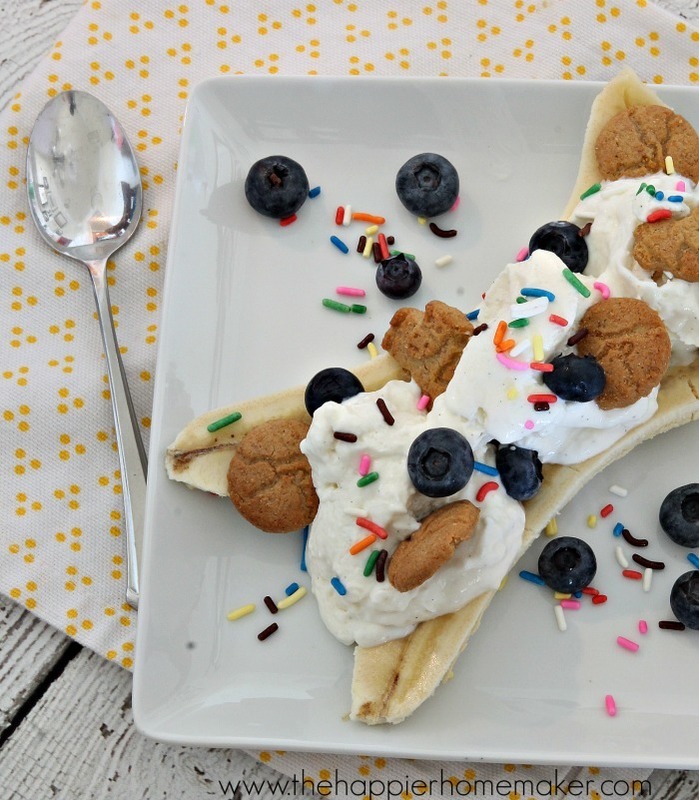 Get the day started right with this fun but healthy breakfast banana split recipe! Place yogurt in sealable container and place in freezer, stirring every twenty minutes, until a soft-serve consistency. 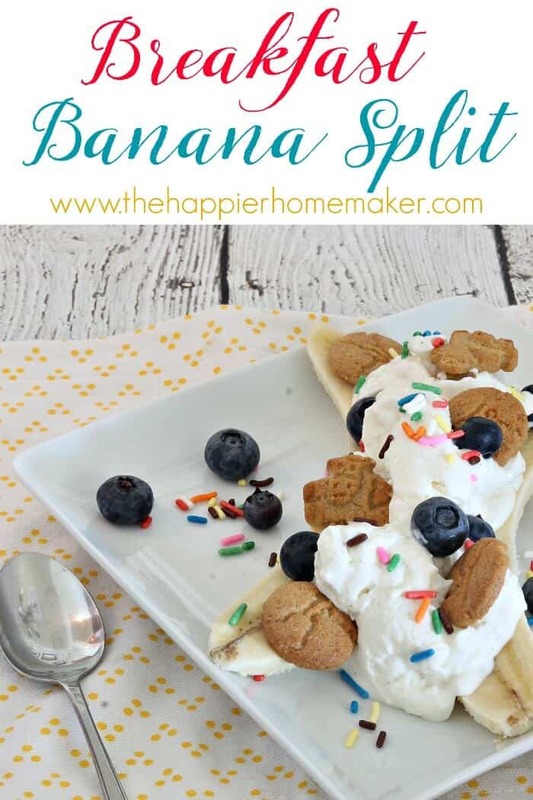 Split each banana down the center and place on a plate. Scoop yogurts onto bananas and top with mini graham crackers, blueberries, and sprinkles if desired.